RV windshield replacement is done regularly at the Alfa Auto Glass. Our trained experts have been servicing all makes and models for a very long time. We have all the latest tools, equipment, and materials to get the job done right the first time. We also handle rear glass, windows, vent glass, and sliding windows as well. 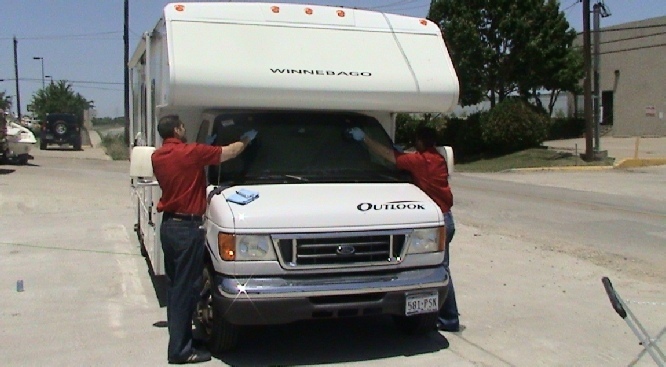 Regardless of why it needs to be done know that we are highly experienced with replacing windshields in RVs and we will get you taken care of in a reasonable amount of time and at a fair price. Call us for more info – our friendly staff is always ready and willing to help any way we can.